Boys and girls have differences that go way beyond the noticeable ones noted at diaper changes. Over the years stereotypes have been battled as girls have been empowered to embrace science, technology, and pursue toys that historically were considered masculine such as blocks, wagons, and dirt! Boys somehow have gotten lost in that mix. While a girl taking on play that might be considered boyish may be considered a tomboy, it is typically tolerated and in many cases encouraged. Rarely, is feminine behavior or more “girly” toy choices encouraged in boys. This tolerance decreases even more so as boys age. As parents it can be tempting to ignore these differences, but in doing so we may be missing an opportunity to better embrace and encourage our children. 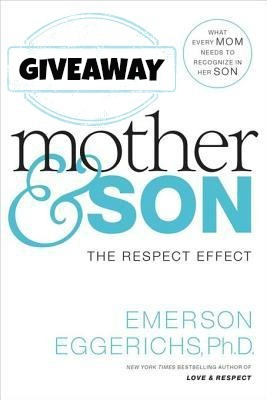 Mother and Son is a unique book that looks to use those differences to make an impact on the lives of our sons. The book closely examines the relationships boys share with their mothers. Using research dedicated to exploring gender preferences and motivations, the author examines different aspects of the mother and son relationship. In many arenas our boys are in crisis. There are less men than ever before sticking around to pursue marriage and kids. The family unit is broken with an ever rising number of single moms. Less men are in church. Less men read for fun and our boys are falling behind in test scores, classrooms, reading levels, and professional degrees. This book focusing on respect, gives mothers tools to give these boys the respect they crave and need even when they aren’t aware of it. Respect can go a long way to empower boys to excel at and enjoy life. The book has advice for mothers of young and older boys. Relying on a strong biblical background the author illustrates examples of how and when to speak and how to best interact with your boys to communicate respect, not just love. Some of the word choices for how to say things seem awkward at times and may not be phrases in a way you are likely to mimic, but the messages are good and worth introducing into your daily interactions with your boys. Gift your son with a lightsaber and encourage his moral character at the same time. Connect with your son using shoulder to shoulder communication instead of the face to face method moms typically use. Get your son to open up and talk by doing something he likes and enjoys other than talking. What makes this all the more urgent is that moms are coaching fathers to love their daughters, but no one has said boo to moms on specific ways to show respect to their sons, at least not in a way that is applicable and fully explained. All realize that little girls need daddy s love, but who is strongly promoting the truth that little boys (and big ones) need Mom’s respect? No wonder mothers feel left in the dark on this topic. FlyBy Promotions is kind enough to not only offer me this book for review, but also offer one for a giveaway to my readers.